JOURNEY'S ENDPulling into the harbor at Brest meant the end of the trip for the sailor. For the soldier it was just the beginning. 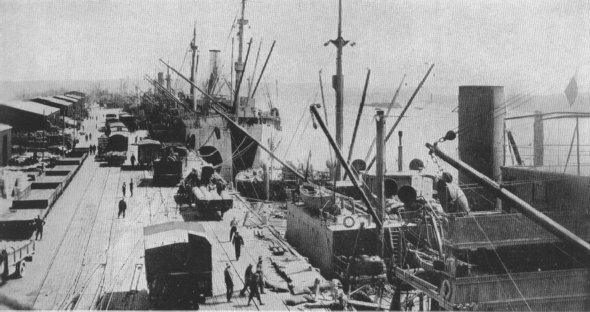 Naval Overseas Transport Service operated 490 vessels between American ports and base ports in France. 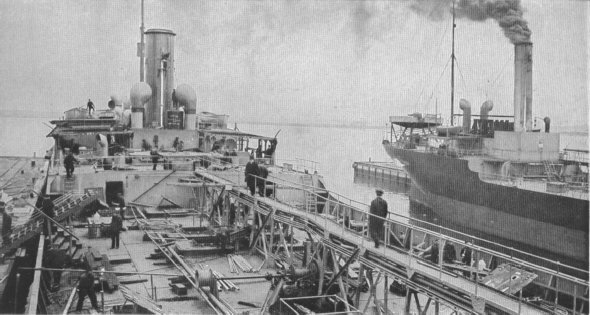 BUILDONG A THOUSAND SHIPSEvery soldier carried to France required the transportation of 5 tons of food supplies and munitions a year. To fill the demand for tonnage, American shipyards built hundreds of cargo ships. Note ship nearing completion.